Carmel?s facility in the Upper Galilee has been renamed Kayoumi Winery. The winery was built in 2004 to serve Carmel?s newly planted vineyards in the Upper Galilee and Golan Heights. It is situated at Ramat Dalton, not far from the famous Kayoumi vineyard. Kayoumi Winery received more than 1,200 tonnes of grapes during the 2008 harvest. 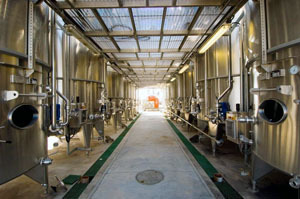 The winery is a very modern, compact and the equipment is absolute state of the art. It is a technologically advanced winery designed for quality, allowing the winemaker ease of management with maximum flexibility. Movement is only by gravity and distances are small. 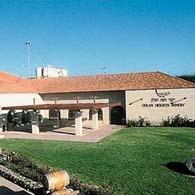 It is basically a crush facility, close to key vineyards and it works in tandem with Carmel?s Zichron Ya?acov Wine Cellars. 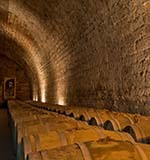 Whites are pressed at Kayoumi Winery, before being transferred to Zichron and reds are fermented there, but barrel aged at Zichron. The winemaker is Koby Arens, who comes from a family of growers. He studied in Australia. He is also responsible for Carmel?s vineyards in the Upper Galilee and Golan Heights. The name Kayoumi is more well-known for being the source of some of Carmel?s award winning Single Vineyard wines. Kayoumi Vineyard lies in the foothills of Mount Meron in the Upper Galilee at an elevation of 780 meters. Both the Kayoumi Cabernet Sauvignon 2003 and 2004 won the gold medal as Israel?s finest Cabernet Sauvignon, two years in a row, at Eshkol Hazahav, one of Israel?s most important wine competitions. Also the Kayoumi Shiraz 2003 was also a gold medal winner and the 2004 won silver. The name stems from a place in the Talmudic era. Carmel owns four wineries. These include the two largest and oldest wineries in the country, at Zichron Ya? acov and Rishon Le Zion, both built in the 1890?s, and two new state of the art boutique wineries: Kayoumi in the north and Yatir in the south.